Karin and John’s Nashville recaps!!! What I loved about the Invisible Children event…. * I loved everything about being in Nashville and witnessing a crowd of about 250 young people come together in complete silence for about 2 hours until the show began in an effort to stand up for the rights of the invisible and Break the Silence to the end the use of Child Soldiers in war. * I loved that this wasn’t about seeing a show…or who was closest to the stage…or who had a better view… or about pushing and shoving to get close to the artists. It was about bringing change… taking a stand… creating awareness… making a difference. 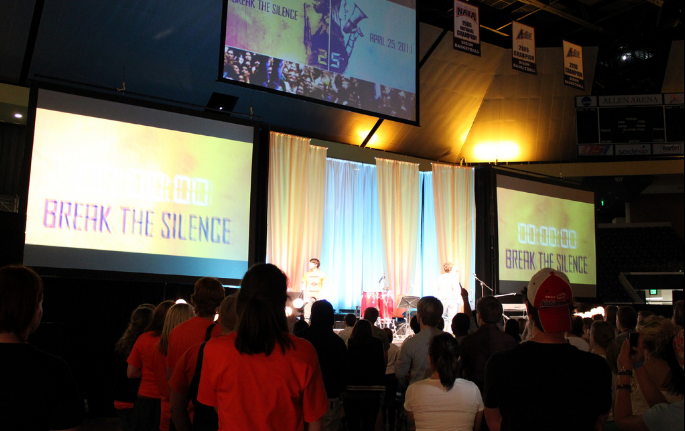 * I loved the atmosphere of walking into a beautifully low lit arena… still completely silent… and seeing the passion in the eyes of the College Students who have raised money and spent their time speaking out about this great cause. * I loved the different booths that surrounded the arena where you could write a letter to Government Officials to ask for help and create awareness about IC… or to look at the incredibly moving artwork drawn by Child Soldiers… or to sign a large banner in support of removing these children from the dangers of war. * I loved the anticipation of sitting on the floor in front of the stage… yes, still silent… and watching a ticker click down 25 minutes until the crowd will erupt and Break the Silence. Such a moving, sobering experience to sit and reflect on how lucky we are, to be thankful for all that we have and to think that even on our worst day it still doesn’t compare to what these children have to endure each day. * I loved that when the clock ticked to zero the crowd erupted in triumph as David and Landon leaped onto the stage with the biggest smiles waving their hands as if they were leading a Pep Rally. In the crowd you would find people hugging… giving high fives… and truly celebrating the efforts of Invisible Children. * I loved Landon’s set… great songs… great artist! * I loved David’s setlist… perfect mix of songs. TOSOD… My Hands… Crush… POTC… and WOW… GGTT. It couldn’t have gotten any better than that. * I loved that the crowd still sings along to Crush at every show… just because. 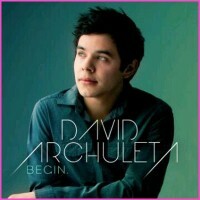 * I loved that David’s voice was pitch perfect… once again. He sang the songs HE wanted to sing and felt confident singing. * I loved that David is trying new things with his voice and his craft. There were beautiful new runs in Prayer of the Children and singing a fast, upbeat, difficult song like Gotta Get Thru This shows that David is ready to take his talent to yet another level. 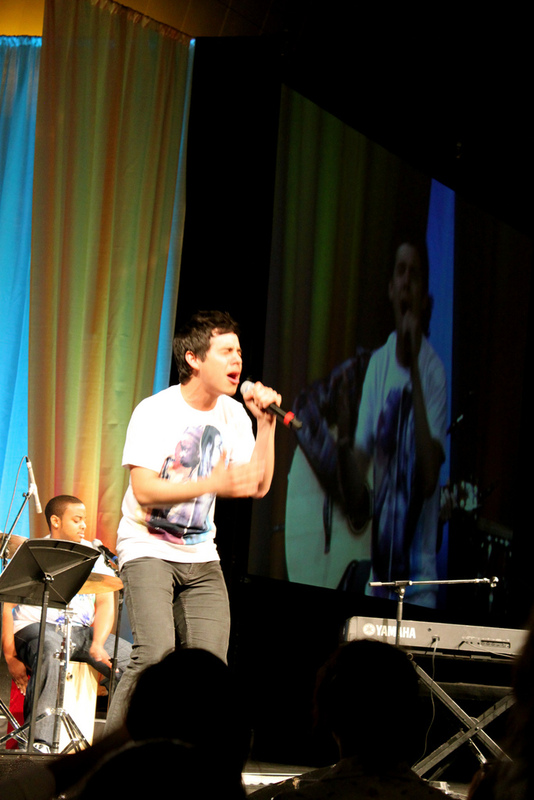 * I loved David’s and Landon’s voices together during Sounds of Silence… and seeing their interaction on stage. You can tell David had become a big fan of Landon’s and the admiration was returned by Landon. * I loved that after they both performed the COO of Invisible Children came onto the stage with David and Landon and told the crowd that both of “these guys are class acts” and thanked them for their support of IC. David had a huge smile on his face and was great about taking the compliment. * I loved that we were able to spend a few minutes with David after the show and let him know that we appreciate him and appreciate the fact that he brings awareness to organizations like IC. While visiting with David he took pictures with us individually… was so gracious about signing anything we wanted him to sign… and then we took a group shot. David seemed so relaxed… so happy to engage with fans again… and more confident than I’ve ever seen him. There wasn’t anything rushed with the visit and as always I think we all left feeling so good that David is happy and doing what HE wants to do. I left the arena feeling so moved that I was able to experience such an event and so happy knowing that David is in a good place. It was a special evening… and I love that! And here is John’s (@JohnA_F) recap)! WOW! It’s been a long time since I’ve written a recap for a David event. I may be a little rusty at this, but here it goes!! The doors to event opened at 6:30, but like all good David Archuleta fans, we arrived at the venue at about 4PM. Sadly, there were only a few people in line. Even more sad, David is not that well known in Nashville. THAT JUST MEANS HE NEEDS TO PERFORM HERE MORE OFTEN, but I digress. Soon after we arrived, we heard (and saw on a big monitor inside the venue) David doing sound check. We heard, “The Other Side Of Down”, “Crush”, a mystery song and “Prayer Of The Children”. THAT was enough to let us know we were in for an EPIC night. Karin and I took a quick walk over to the student union for bite to eat and bathroom break. When we returned to the venue, there were a few more people in line, but not too many. At this point, everyone was silent, including the Invisible Children people who were outside holding signs letting us know which line we were to be in. In fact, the I.C. people would only communicate with us and each other by writing what they had to say either on paper or a dry erase board. The unbroken silence was that important! Soon the doors opened and those who raised more than $100.00 were let in first. We were next. 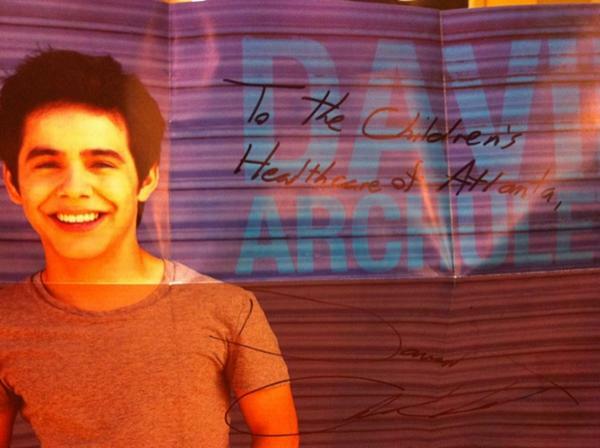 Typical David Archuleta fans…Karin and I sprinted down the steps to the stage area. After a few minutes of standing in front of the stage, all proud of ourselves, we realized that we were the only ones there. Everyone else was sitting WAAAAYYYYYY back in the seats. AWKWARD!!! So…we went back to join everyone else. There were tables set up around the perimeter of the seating area that anyone could check out. Some of the tables were to purchase I.C. merchandise, some were to have your picture taken, some were of pictures of Invisible Children. Keep in mind, we were doing all of this while being completely silent. At about 7PM some people started to go to the stage area, so we followed them, made our way to the front and promptly sat down in front of the key board. We were still totally silent as we waited for the countdown to break the silence. The countdown clock finally started at 7:30 and at 7:55 I noticed that there were a few people at stage left…unsure who all was there. At exactly 8PM, I.C. people took the stage, the lights came on and everyone was cheering. Before I knew it, David was on stage, also. He was cheering, clapping, celebrating and encouraging us to do the same. Soon David was gone and we were then shown a video of I.C. and the work that is being done in South Africa. After the video, we heard a touching story from a woman who lived in Uganda and knew first hand the tragedy of war there. Now on to the entertainment! First up, Landon Pigg. I had never heard him before, but I liked what I heard…very unique. When Landon was done….well….y’all know who was next!! When David came out with two of his new band members, Brian on guitar and Steve on drums, he was, as usual, smiling and waving to the crowd. A lot of cheers for him from the 300 people in the audience. “The Other Side Of Down” was fun for all of us. David definitely started his set off right doing this one and he really did “put one foot in front of the other”. “My Hands” = my goodness!! Seriously??? It’s a great song and has always been a favorite of mine…but the ending??? WHOA!!! KILLAH!!!! “Gotta Get Through This” I had not heard this before, but WOW!! LOVED IT and add the “Message In the Bottle” line??? Dang straight it’s a great song!! THIS is what he needs to be doing!! “Crush” will always be another favorite of mine. As David says, it’s what really started his career. So many of us were in front of our computers the morning it premiered on Z100 and heard it live for the first time in Detroit for the Ford Day event. It’s just a cute, cool song that has won the hearts of many, many people the world over. And the most perfect song to end his set…”Prayer Of The Children”! Just too much for words. His voice just…SOARED!!! There was one point in the song, as he opened his eyes, it looked like he was maybe tearing up. I don’t know for sure, but it just shows the importance of the song to him and how much he feels the words. After that, David thanked everyone and stated to leave, but then stopped, hesitated a little bit and then started telling us that there was another song they wanted to do, but didn’t have much time to practice and didn’t know how well it would sound or work. Then, Landon came back on stage and they proceeded to sing “Sounds of Silence”!!! I was floored!! IT WAS SO FLIPPIN’ GOOD!!! There were parts of the song where you could tell they didn’t have a lot of time to practice, but it still sounded AWESOMESAUCE!!!! The CEO of I.C. came on stage and thanked David and Landon for volunteering their time to do the event. We were asked to hang out so we could be part of videos/pictures that would be used for future promotions. A lot of different poses involved…some of us smiling/cheering, other poses of us looking serious/somber. After that, they turned up the music and had a dance party for anyone who wanted to…dance (or if you’re like me, watch others dance HAHA). While this was happening, there were rumors floating around that David was going to come out and sign things for us. No one knew for sure, but we waited for a bit. Sure enough, he poked his head out from behind the curtain to about 10 – 15 of us waiting. He seemed a bit apprehensive, understandably so, at being on the outside of the curtain, which made him visible to those who were dancing not too far away. I’m sure he feared that there may be a rush of fans if they had seen him. So he went back behind the curtain and we were led back to where he was waiting for us. Again, it was a very small group and David was, as usual, very gracious and accommodating to us…he signed posters/cd’s/phones/etc and posed for pictures. It was an EPIC night for sure. Each time I see David perform, it seems to be a little different, whether it is a new sound, vibe, or new cover song, he ALWAYS manages to keep in new and fresh. I LOVE THE NEW BAND!! Can I say that again??? WOW!! Talk about new sound/vibe. THIS IS EXCITING AND FUTURE EVENTS WILL BE GREAT!! OH YEAH…Steve on the drums….WAY KEWL!!! Seriously…I’m glad he is able to now take time to find what he wants to do with his music. He is free to experiment with different sounds, instruments, songs…whatever he wants, because his contractual obligations to Jive ARE NO MORE!! Truth be told, I hope he takes as much time as he needs to be comfortable and happy with what he is doing…for himself and us. I, for one, am not putting away my shades anytime soon, ‘cuz D’s future is VERY BRIGHT!! HEH!! 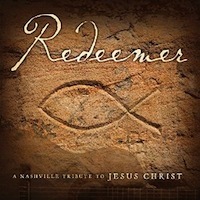 This entry was posted in Special event and tagged David Archuleta, Invisible Children, Landon Pigg, Nashville. Bookmark the permalink. 57 Responses to Karin and John’s Nashville recaps!!! Hola, from Honduras!!!!! Checking in on vaca in beautiful, sunny Roatan and find your aMAZing recaps, Karin & John, thank you for making me feel like I was standing (silently) right there beside you! I could tell from the vids that David knew (& was happy) his fans were there to support him (& sing along! lol). What an epic night in so many ways. Deb! I didn’t know you were in near Hounduras!! Sounds BE U TEE FULL!! Have a wonderful time. Glad our recaps could make you feel like you were there!! Okay…iPhone spell check FAIL! That is supposed to be HONDURAS, not HOUNDURAS!! These recaps are GREAT! Loved every word and I could feel your excitement. Laughed loud enough at John’s accounting of sprinting to the stage (and finding yourselves alone) that I woke up our 14-yo and almost-completely deaf schnauzer. Oh, and PLUS, the video that I’d seen/heard of SOS didn’t have nearly as good audio as this one. In this, their voices blend much better. So glad I listened. KARIN/JOHN – thanks for the wonderful recaps. To be in that spirited atmosphere and w/ The Archuletor! GAH. I have always loved the jazzy, sassy David. Glad that it is back and I hope for good. Great recaps 🙂 Sounds like an awesome event to get to go to! ngl, I’m a little jealous of anyone who heard GGTT live, lol. Thanks for sharing. Terrific recaps full of love an enthusiasm; so glad you took us along. And about that momentous rush to the stage… All 2 of you. ROFL. Here’s waving at you! Hope you’re having a sunny good time. Thanks Karin and John for sharing your experiences with us. We enjoyed the reports and messages while you were there so lived vicarously through you. Getting these great recaps is frosting on the cake. Thank you so much for sharing. Great recaps guys. Thanks for explaining the Break The Silence part. What a moving tribute to these victimized children. I agree with abanana, envious of your seeing GGTT live, and that POC. “Each time I see David perform, it seems to be a little different, whether it is a new sound, vibe, or new cover song, he ALWAYS manages to keep in new and fresh”…if anyone knows, you guys do. Thanks for giving us another great recap. Awesome recaps John and Karin. Thanks for helping us to ‘feel’ and to ‘break’ the silence with you. What a very special day it must have been for the two of you. And this–> ‘After a few minutes of standing in front of the stage, all proud of ourselves, we realized that we were the only ones there.’ ROFL!! yes, it probably was very AWKWARD!! Thanks John for creating some laughs in my looong day. So glad you two were ‘there for us’. Baaack! Just finished my first jewellry sale at a charity fashion show!!! Twas fun!! Karin, appreciate your description of the silence…. (hard to imagine you quiet, lol) how meaningful that must have been>>> “sitting on the floor in front of the stage… yes, still silent… and watching a ticker click down 25 minutes until the crowd will erupt and Break the Silence. Such a moving, sobering experience to sit and reflect on how lucky we are, to be thankful for all that we have and to think that even on our worst day it still doesn’t compare to what these children have to endure each day.” Just wow. John…. loling at you guys running to the stage in true Archangel style. Reminds me of running across the soccer field in Utah, all of us holding hands and laughing all the way to the stage, (we won’t mention the artist). So glad you were able to spend a bit of time with David… How precious is that??? To see him happy, relaxed, doing what he does, thanks for letting us be part of it!!! AW…Nancy! Ford Day! What a great time. Meeting you, Deb, Janey, Wanda, Dominic, Rene and SOOOOO many others for the first time! And of course, first time performing “Crush” live AND the full version of “Imagine” Holy Cow!! Sunny Honduras just got torrential rains, lol… but perfect for checking in & finding David posted a vlog … and sang Kanye!!!!!!!! Going over the last week. Went to the Prince concert, performed for Invisible Children’s Break the Silence in Nashville, went to the ASCAP expo, and went to the In N Out headquarters haha. Happy Mother’s Day in advanced to all the mom’s and mother figures out there this Sunday too! I adored this sweet vlog. Love how David shares his goings on with his fans. Love how he sends so much love and appreciation to his mama. ❤ Loved and laughed at his In 'N Out Burger tour and how they are 'dear to his and his family's heart'. lol. Have to thank Karin and John for their wonderful and delightful recaps from the Invisible Children's event. So good to hear from folks who were there! Love reading them and appreciate so much the time they took to do that and share with all of us. When you can't be there it is great to hear from those who are and enjoy every word expressed about Mr. soul man himself and this wonderful and meaningful event. Thank you! TOfan…hope you are keeping dry amongst the 'torrential rains'. I'm sure you are having a wonderful time in spite of it! OMGah! Have you seen this? Confession: I wasn’t particularly keen on this song when I heard it from his oh-so-adorably-boyish voice. But noooowwwww… here’s the knife, just get it over with, David! Thanks JR >>> I always had a soft spot for this song just cause he wrote it so young!!! He nailed it and the reaction of the host was priceless. Love when David finished he just kinda shruggs> he offers up every song from deep inside himself and it is always perfect. I love him. Loved the “Falling” video, but I’m surprised David chose that song as an example of his writing skills, since there are a lot of songs on TOSOD that represent his lyrical talent. Wonder what was the reason behind it? ((((embe))) So nice to see you and baby!!!! So cool!!! You look great! Good question about why David chose to sing Falling…. it is not a song he has performed much that is for sure….I wonder too…. So, so lovely EMBE. How many months to go? Hi embe! You look terrific and terrifically pregnant. How much longer? I was wondering if because it is one he wrote solely on his own. Yeah that’s what I thought also (because he wrote it all by himself). Maybe he doesn’t want to look like he’s taking credit for other people’s ideas (if he did sing one of the songs he cowrote) so he chose Falling. David is going to Indonesia! ^^^^KKK, TOfan is not here to embed…. thought I had it figured out.. Oh well, the link works. Love David’s “Falling”! So lovely…..perhaps he chose that song because he has never sung it in public before? Or has he? Not to my knowledge anyway. Yes, it could be that he chose a song he wrote himself too. In any case, loved it. It was beautiful, such a sensitive, heartfelt song. The interviewer’s reaction was indeed awesome. So thrilled for the Indonesian fans! They have waited patiently for David, they adore him and now he is finally gracing them with his presence and a concert, wonderful. So sweet that he did a blog about it, he seems so excited and happy. The Indonesian fans must be overjoyed (and probably celebrating). Have a good day peeps! ack…. this one did embed!!! hahhaha Enjoy! One more thing …. David Archuleta trended worldwide on Twitter this morning!!! Gotta love the Indo fans!!! So nice to see his name there! The ‘word’ is out! 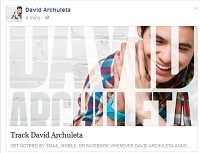 David Archuleta Live in Manila this July!? Is this for real? Really? Well, here’s what we’ve got, David has confirmed that he’ll be in Indonesia on the 16th. Araneta sources (via @nareejo) say he’ll be in Manila for a concert on the 18th. The date is said to be confirmed. He trended in Canada too apparently! Wooo! How cool is that????? Now David must make us part of his tour, right??? Don’t know why, but I have a feeling this might be your lucky year! What about the ASCAP interview??? kinda blown away by how focussed he is on working on his own…. to get his own “voice” and sound out. How he just goes to the piano and plays what he is feeling, no lyrics, just sound. Can you not just hear him humming and ooohhh and aahhhing whatever is in his heart??? EEEp. I really get the feeling that what he had been doing with Jive did not jive with his vibe!! Having to do what is “convienent for them” lol, David’s words to aspiring musicians sounds like what he has learned from his journey so far. Oh man, I am soooo happy for his future…. we are in for it!!! But yeah, great interview! He seems so happy and focused on doing his own thing! I was never really sad to see Jive go, but I’m really happy he feels he’s made the right decision. That ASCAP interview was so good! Love David’s insight and personal expression about his creative flow. Always feel so proud of David and his talk of his charity works are so heartwarming and intelligent, as usual. Refnaf….yes, so, so, happy for David’s future! I agree, I definitely think his label tended to ‘stomp his roses’ more than was pleasing to David. He’s like a free bird now and he can soar in whatever direction(s) he likes, yay for that! The ASCAP interview was really revealing. And I thought the part about really wanting to not only write his own material but songwrite for other artists was intriguing. I love that even as he describes himself as someone who is not good with words, he has the motivation, desire and drive to become an accomplished songwriter for himself as well as others. I love the picture you painted of him creating refnaf! I hope all mom’s of the world had a most special day today! May the next year be filled with all the happiness and joy you so desire! Hope all the Mothers and Mother figures had a lovely Mothers day today. Hope it was joyful, memorable and special for everyone. Got to honor my own wonderful Mother today. archangel48…..yes David is definitely joy! Happy day to alll the mom’s and mom figures (so pleased that D included that in his tweet) We are celebrating next weekend…… so we had a quiet time at our cabin. Sunshine, bbq and campfire…. perfect. Seems that David is at a mother’s Day function in Bel Air !!! Making some mothers day by singing!!! I did visit my 85 year old mom and it is so cute to see her skyping with her sister in Holland!!! They get so giddy it is cute. They do not get how it all works but once they are set up they act like little girls….. sweet! aww, that is the sweetest thing. I remember my husbands 95 yro grandmother once telling me, “you get older on the outside but on the inside you still feel like a young girl.” I have never forgotten that. Just waiting for the bus to the airport to fly home today … sigh …farewell to beautiful Honduras! … can’t wait to get back & catch up on all the awesome David news though (congrats, JR!!!!!). Yay, TOfan is coming baaaack!!! In the past I have not gotten into the voting for David grind, but this one has been going on a while and he has steadily climbed the ranks for Ultimate Idol. He is now in the final with AL, so, yes I am voting!!! 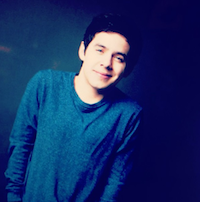 Happy David Archuleta Day! Wanna re-live and be swept away by some major loving Utah showed its most beloved teen during the cra-zeh David Archuleta Day! Watch out for a super slim and very pretty CLAUDIA? And Abuelito looks nifty, too! Thanks, Canadian fans, for voting on the Q102 poll. This has been a real marathon, but we are heading towards the home stretch now. I’d love for David to win this after all the hours and hours some fans (me included!) have spent voting. Here’s a tip if you are using Mozilla Firefox. By doing the following, most of the images on the page will be blocked, so the page loads faster. Next click on the “Close” button and then the “Ok” button. Voila! Now the poll will load faster, so you can vote faster!